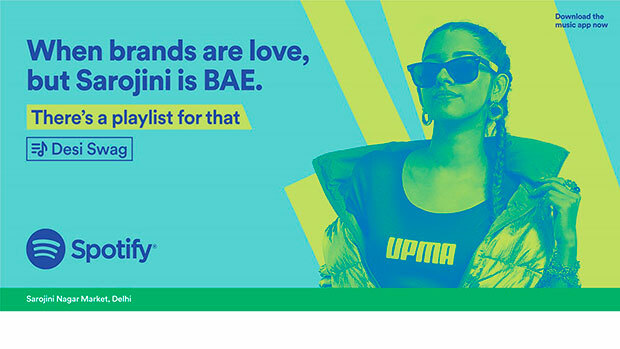 Spotify, which launched in India last month, has now unveiled its first campaign across the country, 'There’s A Playlist For That’. Being a hyper contextual OOH, digital and radio campaign, it is born of the brand’s commitment to create deeply localised and personalised user engagements. “But of course there is so much of culture, so they asked - can you get inspired from there? So,that’s where the campaign was born from,” he added. There are two parts to the insight of the campaign. Firstly, there’s a listening behaviour when it comes to music apps and other music streaming platforms - that you don’t listen to just one song, you listen to a playlist, a bunch of songs which is the mix-tape behaviour of the late 90’s and early 2000. “People had moved away from that behaviour in terms of communication,so no other streaming platform had come in and done this. So that was a wedge against all the competition. Playlist as a behaviour - we wanted to tap in. That was the insight based on the category itself,” discussed Pandey. Secondly, music somewhere has the power to help you tide over whatever you go through in life - sometimes things will go your way, sometimes things will not. Sometimes you will be stuck in things. India is a fairly chaotic country - you’re stuck in trains, you’re stuck in traffic, sometimes you’re standing in long queues, you have tons of students to compete with in engineering. “So all of that became material for us - and that’s where we thought of no matter what life throws at you, there is a playlist for that,” he appended. One wonders, with players like JioSaavn, Gaana.com, Wynk, YoutubeMusic - how has Spotify been positioned differently? The premise of Spotify itself is very different. Spotify works on an algorithm which gives you suggestions of music - discovery is a big hook for Spotify users across the globe. “People swear by Spotify - that’s because their discovery algorithm is very good. It suggests music which you would really like. But that’s more of an experience,and people can experience it when they download the app and have started using it for a month or so,” Pandey told. However, the hook to download the app is going to be their 3 billion playlists. “The listening behaviour itself of playlists - a lot of people do it,but nobody owns it. Spotify intends on owning it and it will be their key differentiator at this point of time,” he clarified. The USP of Spotify is its 3 billion playlists. Also, their discovery feature is very big. “They give you a weekly suggestion of a playlist - based on your listening pattern, based on the music that you like listening to again and again - they give you suggestions on the basis of that, and that’s huge for them,” pointed out Pandey. For e.g. A South Mumbai hoarding that reads ‘Dating a boy from the ‘burbs’? There’s a playlist for that – ‘Long Distance’, is a humorous take on the longstanding South Mumbai – North Mumbai love affair debate. If there is an outdoor put up outside Lokhandwala, it talks to the Lokhandwala people. If it is placed outside an engineering college, it talks to the engineering students. “The purpose of the OOH campaign was that make the campaign so good, that it becomes shareable. It usually doesn’t happen with all campaigns,but I really believe that the potential of OOH is to transcend it to social media,” brought out Pandey. And that’s what happened. The Lokhandwala OOH, made it to social media within two hours of it being put. People who went for their morning and evening jog - saw it and put it up on social media - the outdoor campaigns became so interesting that people circulated it on social media. The agency also included lines for Tinder to be included on the outdoor - and they asked Tinder if they could use their name, and they were happy to be part of this campaign. The 10 cities in which the OOH has been put up include - Mumbai, Delhi, Chennai, Bengaluru, Ahmedabad, Hyderabad, Kolkata, Pune, Kota and Guwahati. The campaign also features three digital films, one of which is now live, and the other two will launch over the next few days. The digital platforms on which the digital campaign is running include - Instagram, Facebook, Twitter, Snapchat, YouTube, Flipkart, Pokkt/Gamesloft, Tinder, Truly Madly, Fork Media, Inshorts, Dailyhunt, Lifesight, Adcolony, Vserve, Connecting Dots, Mcanvas, ESPN, Truecaller, Tiktok and Ola. 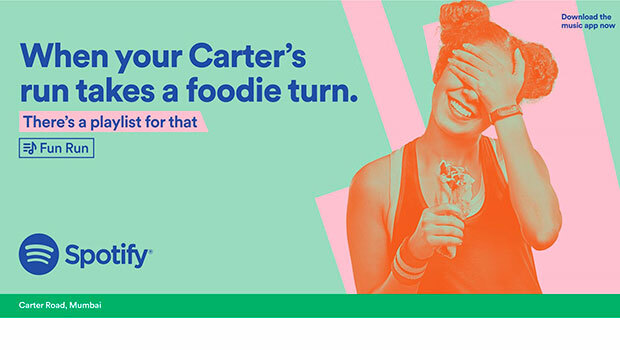 In addition, to extend its existing outdoor campaign to digital, Spotify is primarily using Instagram - encouraging followers to share quirky life scenarios for which the brand has existing playlists; the humorous responses will be posted as the Spotify India's Instagram stories. The digital campaign is also running on OTT platforms such as Voot, Hotstar and Zee5. “Every few kilometres in India, the cultural nuances change, which means that the same music can mean something entirely different to even those who live in the same city. 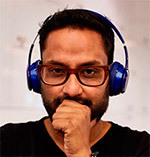 Understanding this insight of the varying 'when' and 'where' led to the creation of our first marketing campaign in India, which communicates that we have playlists for our users, no matter what the moment,” said Amarjit Batra, Managing Director - India, Spotify. “While a lot of brands have attempted a location specific OOH campaigns, what sets this one apart is that it's not just location specific, but it also includes a layer of cultural insight. That's what makes this campaign more tedious and difficult on our part, and more enjoyable and shareable for our target audience,” concluded Pandey.